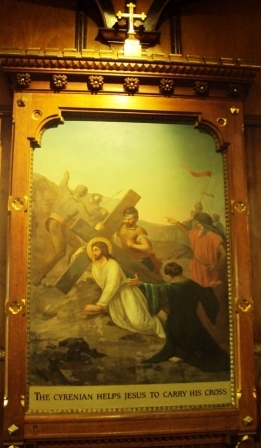 There are 14 Stations of the Cross in every Catholic Church. 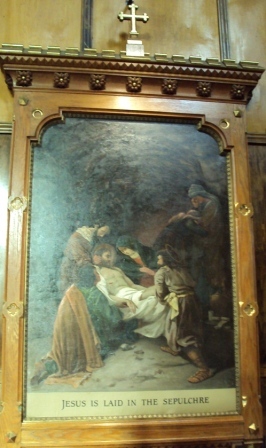 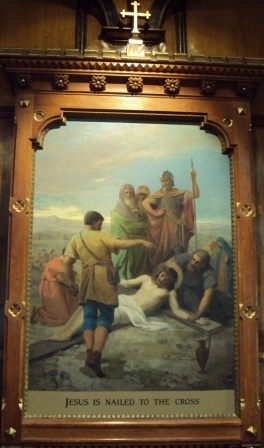 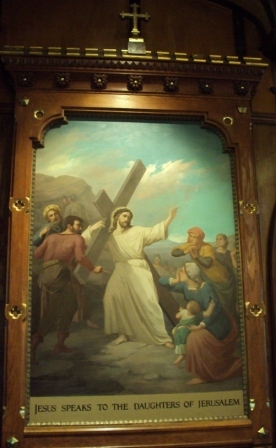 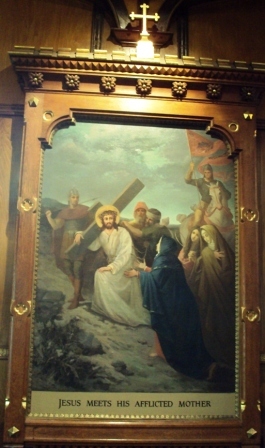 At each station there is a painting or statue depicting Jesus Christ as He is led to His crucifixion and death. 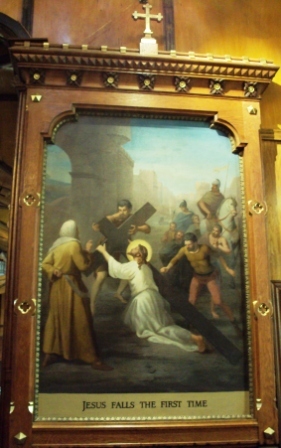 During the time of the crusades (1095-1270), pilgrims to the Holy Land followed the path of Jesus to Calvary. 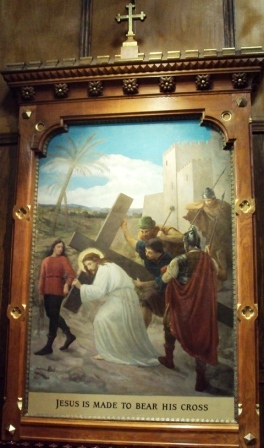 After the Moslems captured the Holy Land, the Way of the Cross... held outdoors... became a substitute pilgrimage throughout Europe. 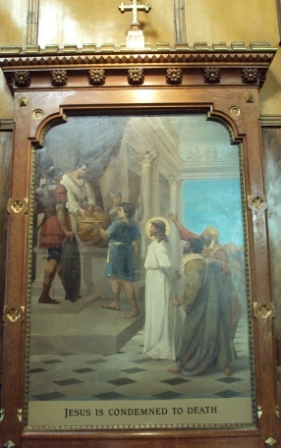 In the l8th century Stations were allowed inside churches. 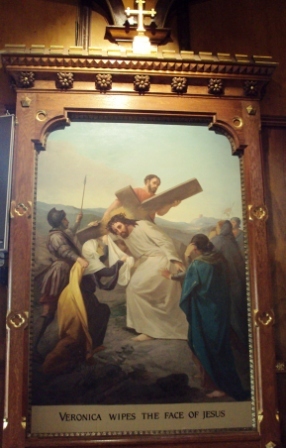 Eventually, fourteen Stations became a familiar feature in Catholic churches. 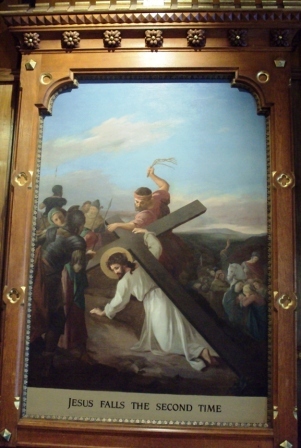 The Way of the Cross makes us more aware of Christ's sufferings and of His great love for us. 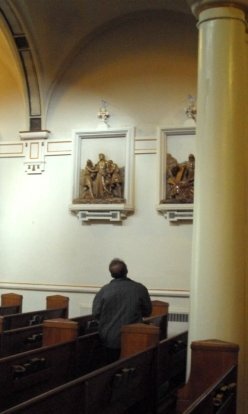 It's not necessary to pray the stations in church... you can follow the stations shown below. 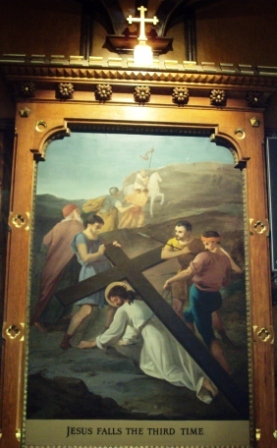 Start at the first station. 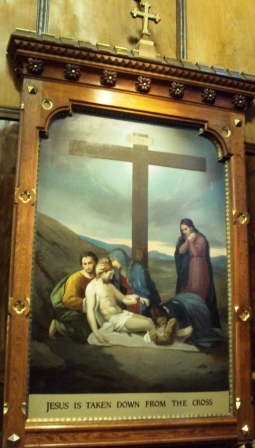 Make the sign of the Cross. 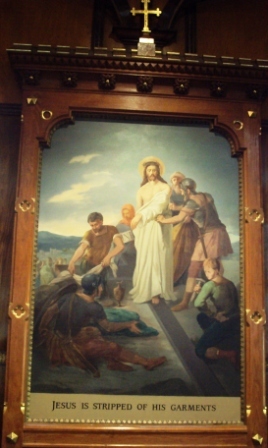 Each of the 14 different paintings can be used to help us meditate on Christ's Passion. 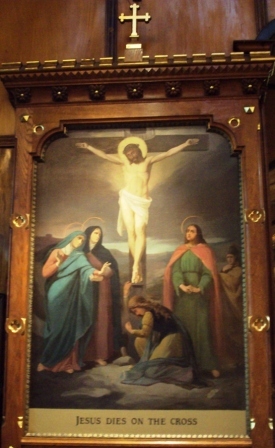 They serve as powerful reminders of how much Jesus suffered and how deeply He loved each one of us.